A Bauer professor’s work was widely cited by analysts to explain what was likely to happen in the wake of Snap Inc. going public last year. 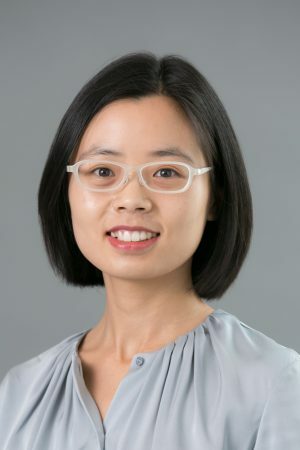 Assistant Professor Annika Wang and two other researchers revisited a decades-old theory by Edward Miller that explored reasons for a pricing puzzle: Why IPOs tend to experience first-day price run-ups followed by subsequent underperformance, especially around the expiration of lockup agreements? Miller’s theory, which was challenged over the past decade, posited that “investors with optimistic opinions buy the stock in the immediate aftermarket, while investors with relatively pessimistic opinions are unable to register their negative views due to short sales constraints. Therefore, securities are more likely to be overpriced when there is high divergence of investor opinion along with short sales constraints,” Wang explained. The paper Wang co-authored, “Short-sales constraints and aftermarket IPO pricing,” confirmed this long-time theory and provided a roadmap on how to identify the IPOs that are more likely to be overpriced in the immediate aftermarket. According to Wang, high growth issuers with operating losses and large intangibles are hard to value and thus have high divergence of investor opinion. On the other hand, a small offering size would limit the supply of lendable shares, putting significant constraints on short selling. “Snap was such an issuer. Before buying into Snap’s much-hyped stock market debut, investors should look for the red flags mentioned above in its financials, otherwise they would get hit hard when locked up shares flood the market,” Wang said. Their paper was featured in The Wall Street Journal right after Snap soared 59.4% above its IPO price of $17 on its second day of trading. After that, Snap’s stock started a long journey down. “We are glad that the trajectory of its share price proved we were right,” Wang added. But what are the implications for investors who try to profit from shorting these IPOs? “They will face extremely high short selling costs and risks around the expiration of lockup agreements, which makes it practically infeasible to come up with a profitable trading strategy,” Wang said. Especially, a combination of small active supply and high utilization implies that the stock lending market for these IPOs may be too thin for large-scale short selling operations. Wang joined the Accountancy & Taxation Department last year after earning her Ph.D. in Business Administration at the University of California, Berkeley. She works at the intersection of accounting and finance and teaches intermediate accounting at Bauer.